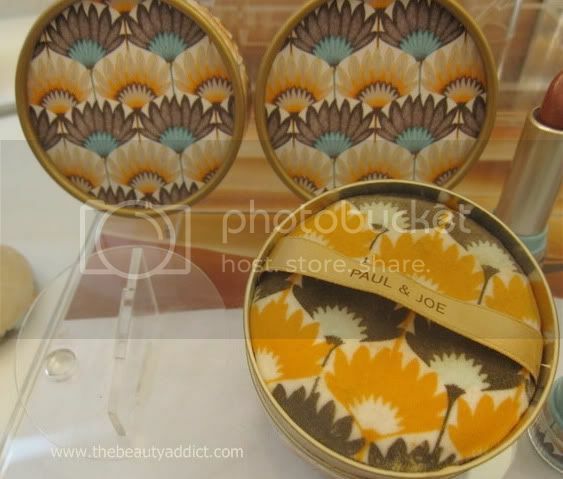 The Beauty Addict on Make-up: Paul & Joe's "The Sahara Collection"
Have you already made a trip to Rustan's Makati to check out what's new with Paul & Joe? If not, I'm sure you beauty addicts will be thrilled to know that the Sahara Collection for Summer 2010 is finally available in the Philippines! In my opinion, Paul & Joe really stands out when it comes to packaging. The combination of orange, cream, brown, turquoise and flower print is very enticing. Prevents oily shine. Creates a natural shiny semi-matte skin finish without a powdery look. Adheres to the skin. Stays on even after perspiring. Keep skin dry with a soft, fluffy touch. Sublime radiant glow and translucent finish whenever you want. A lovely collection of pink colors, like the hue of the sunset in Sahara. “Clear –veil oil” gives a gorgeous shine, and “Moist- capture oil” keeps your lips hydrated all day long. Formulated with large-particle gold frost this beautiful shimmering body lotion makes your skin glow and shine healthily. This cool, dry lotion heals skin which has been over-exposed to the scorching sun. This vibrant and cool summer fragrance uses orange flower fragrance as the base, and combines jasmine rose and other colourful floral fragrance with a luxurious musk wood note. Paul & Joe Blotting paper in an attractive packaging printed in a stunning fashion print. 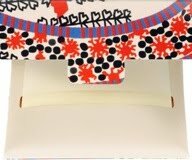 Paul and Joe Emery Board will make shaping and caring for your nails a pleasure and even more enjoyable with its ethnic print. I also had a makeover during my visit. Here's a photo with Anton, Paul & Joe make-up artist. He used the Coral Pink lipstick on me. Isn't it lovely? 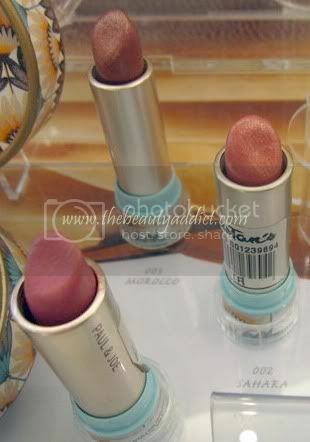 The other 2 shades in the collection are pretty as well. I was also reminded of what made me fall in love with Paul & Joe two years ago with this makeover. Their foundations are to die for. 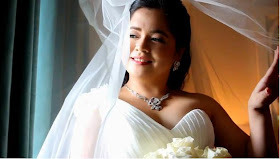 The one Anton used covered all my post pregnancy facial flaws even without concealer. 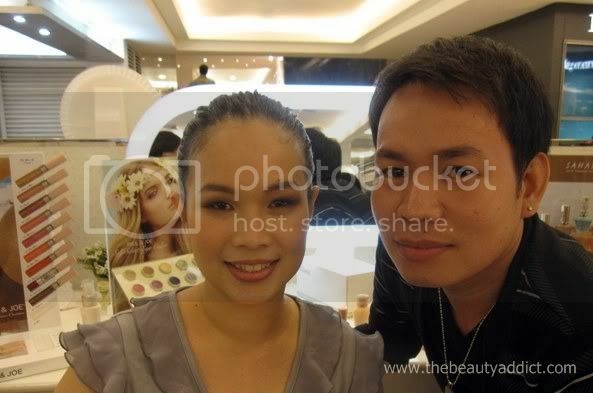 With Ms. Maan Perez, Brand Executive for Paul & Joe Philippines. Thank you so much for the invite! If asked what's my favorite in the collection? 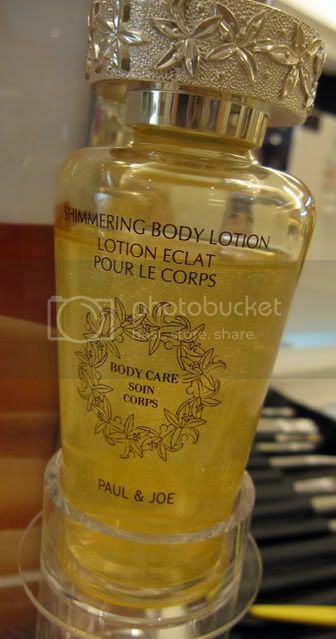 I'd say...the Shimmering Body Lotion. I love its light and refreshing scent plus the cooling effect after application so much. The shimmers are not overpowering making the skin looks glowing instead. How about you? Did you find the Sahara Collection interesting? I wasn't able to go ! :) Sayang sana nagkita tayo ! :) You look pretty ! awww nikki sayang! next time sana hehhee...ngak i look so fat! Wow! Amazing collection. 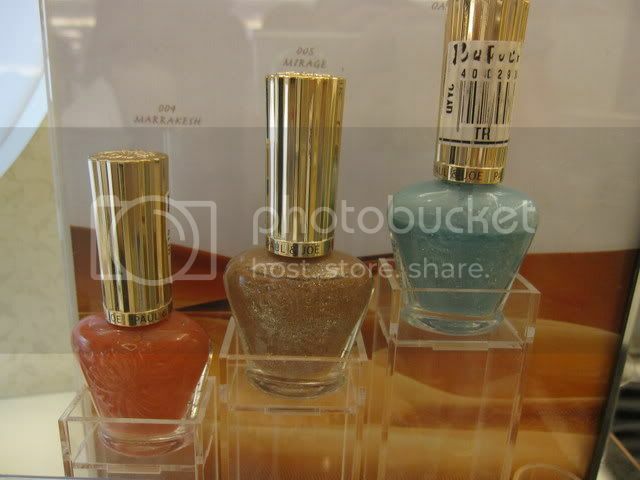 Those nail color bottles are very attractive. I would like to have such collection for me. I will buy in very short period. Nice captures!